2003 MITSUBISHI GALANT 4 DOOR SEDAN 2.4 AUTO FWD. Tested to be in good working condition prior to removal. Ran smooth and quiet on the Galant. No issues noted. POWER STEERING PUMP 2.4L. Make/Model: Mitsubishi 3000gt VR4. No cables, parts, power adapters, drivers, software or any other accessories included unless stated above. No labor warranty is provided. Parts may be interchangeable with more years and models. Mitsubishi Outlander 2013 GT 3.0L V6 - Gas. Mitsubishi Outlander 2012 GT 3.0L V6 - Gas. Mitsubishi Outlander 2011 GT, XLS 3.0L V6 - Gas. Mitsubishi Outlander 2010 GT, XLS 3.0L V6 - Gas. No cables, parts, power adapters, drivers, software or any other accessories included unless stated above. No labor warranty is provided. 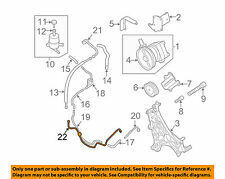 Pump Assy, Power Steering: MR554841. 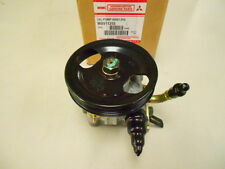 JDM MITSUBISHI LANCER EVOLUTION VII 4G63T POWER STEERING PUMP with BRACKET, Genuine OEM used in great conditions. 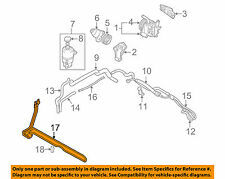 MITSUBISHI part numbers Bracket, P/S Oil Pump: MR554868. 2004 - 2012 Galant - ALL Engines. Power Steering Pressure Switch. Mounts on Power Steering Pump. Part Numbers and / or Prices may Change WITHOUT Notice. 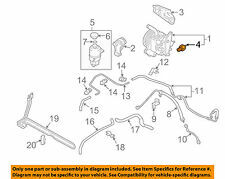 Used OEM #s MR418626, O ne Year Warranty . Mitsubishi Montero Sport Pump Power Steering 3.0L 3.5L V6 . We have many 3000gt/stealth we are parting out if you need any parts just let us know. You will Receive the Actual parts as Advertised or Listed or Shown in the picture nothing will be Included extra. 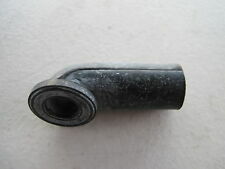 Mitsubishi OEM Part Number 4455A103. THIS PART FITS. This is a used but in very good condition Mitsubishi Montero steering wheel. Should fit other years. There is a little hole on the back of the top of the grip as shown in the photos but doesn't seem to affect anything and is hardly noticeable. Up for sale is an OEM power steering pump assembly from a 2010 Mazda 3. This pump is in good condition. This is a 2nd generation 2-plug unit. This will fit Mazda 3 from 2010 through 2013. Used OEM Power Steering Pump OE #s MR319542 MR418625 . 1997 1998 1999 Mitsubishi Montero Sport Steering Pump Power V6 . Up for sale is an OEM power steering pump assembly w/ mounting bracket from a 2010 Mazda 3. This pump is in good condition. This is a 2nd generation 2-plug unit. This will fit Mazda 3 from 2010 through 2013. Over 100,000,000 served. Truly Affordable Sales Automation. YOU'RE BUYING A USED ABS brake booster. Good working condition / Fit 2.4L 4G64 engine ONLY. We want you to be 100% happy with your order. a pretty image. The pulley is included unless it states "- pulley" below. No reservoir included. LANCER 2003 -2003 exc. LANCER 2002 -2002. There may be differences between the engine size or steering options. Our goal is to eliminate any surprises upon arrival. 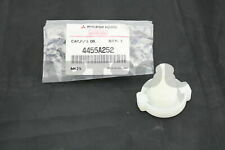 MITSUBISHI part number: MD373939. MITSUBISHI LANCER EVOLUTION 4G63T ALTERNATOR DRIVE BELT TENSIONER, Genuine OEM used in great conditions. Lancer Evolution VII. Lancer Evolution VIII. Lancer Evolution IX. Pictures are of actual item for sale.Removed from a1995 Mitsubishi Montero A/T 3.0L V6 4x4. 1994-200 Mitsubishi Montero. Everything we do is centered on supporting you in fully realizing your potential. Steering column from 2015 Mitsubishi Mirage in good condition. Minor scratches. A pretty image. Honda Parts Unlimited. LKQ SKU: LKQ143 ~171166293 SPM59111. This is NOT a manufacturer part number, and can be disregarded. We do our best to prevent these issues from happening and apologize for any inconvenience it may cause. Pump is in good working condition ready to install, removed from a wrecked 2013 Mazda 3 with 46K miles. You may also be interested in. Warranty is issued with every set of remanufactured fuel injectors. This warranty is non-transferable. The first step is to notify us of your specific issue. MITSUBISHI GALANT 99-02 3.0L (6 cylinder). Power Steering Pump/motor. Part Grade Abbreviations. cc = Credit Card size units. C = Greater than 200k miles. B = Greater than 60k miles and less than or equal to 200k miles but greater than 15k miles per year. WE PARTOUT EVO'S DSM'S SUBARUS COBALT SS . GOOD CONDITION. 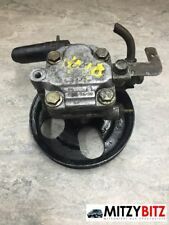 1991-1992 Mitsubishi Galant VR4 All Wheel Steering Aws Pump gvr4 e39a dsm. Condition is Used. Shipped with Economy Shipping.